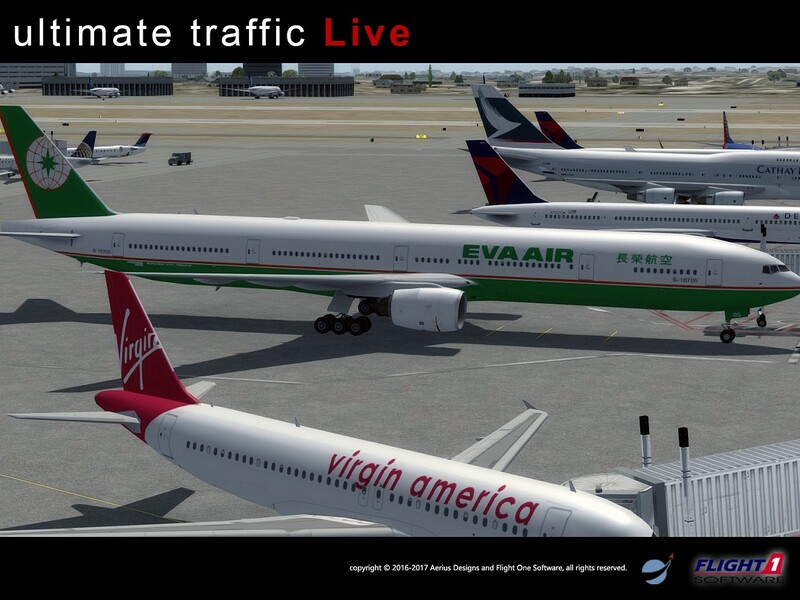 With over a decade in development time and product cycles, the Ultimate Traffic series has been the top AI Traffic solution for who are looking for the most complete and realistic real-world airline AI flights worldwide. 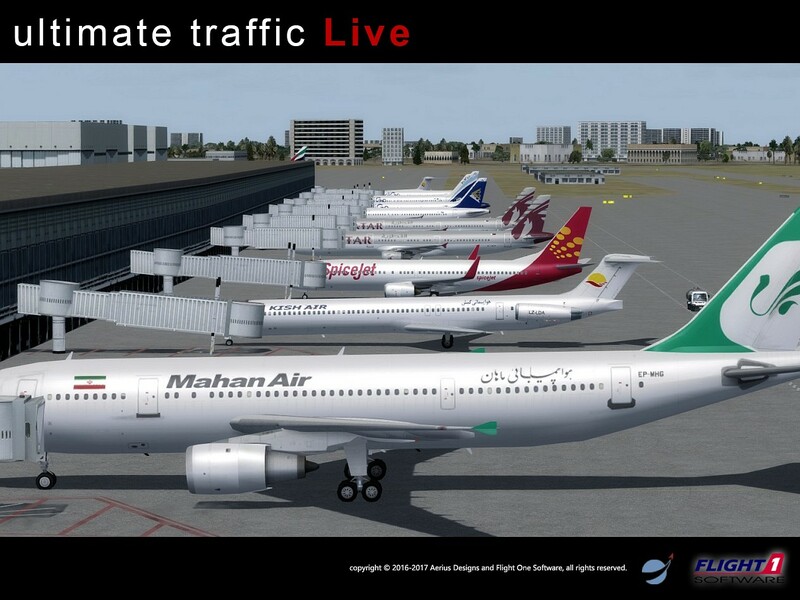 Ultimate Traffic Live, is the latest edition in the award-winning series and has been developed to provide new experiences on Flight Simulator X, Flight Simulator X Steam Edition, and now includes native support for Lockheed Martin Prepar3D versions 3 and 4. 600,000+ Real-Time Scheduled Flights - Ultimate Traffic Live will provide users over 600,000+ scheduled flights based on real airline timetables. These schedules include International, National, Regional, Commuter and even Air Cargo operators. The flight schedules touch every corner of Flight Simulator X and Prepar3D world. 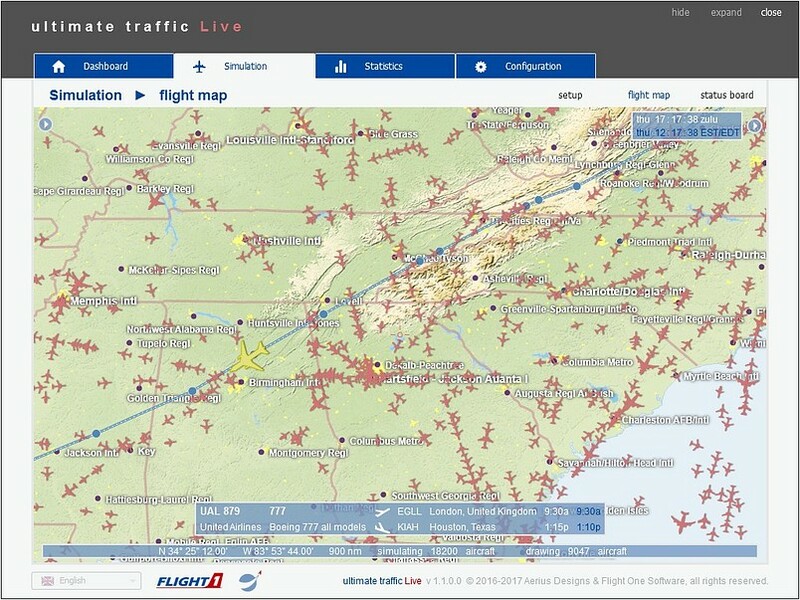 Thousands of General Aviation Flights - Besides commercial schedule flights, Ultimate Traffic Live will provide users thousands of general aviation flights. These flights fly between 6400 airports and log countless flight hours each week. 900+ Airlines Worldwide - All that traffic buzzing around the sky wouldn't be right if you did not support the airlines that fly these scheduled routes. 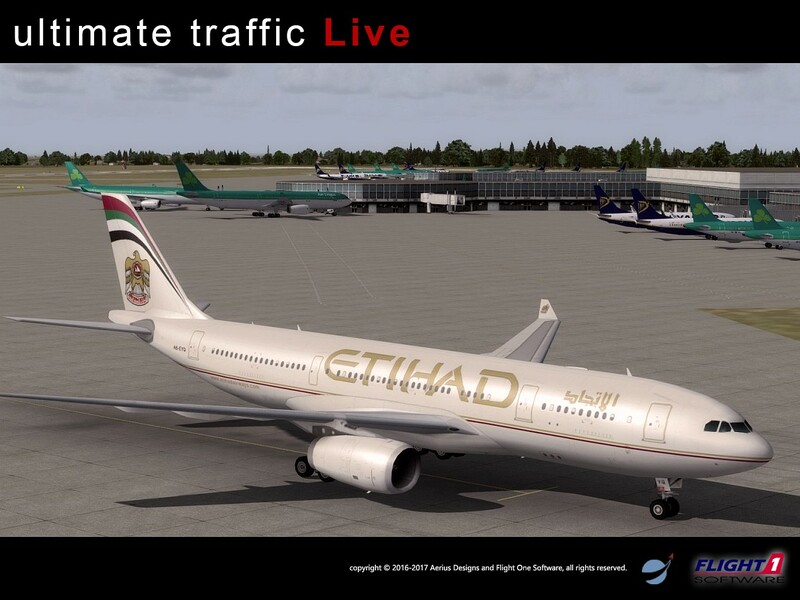 Ultimate Traffic Live contains over 1600 aircraft repaints of various worldwide air carriers, both big and small. 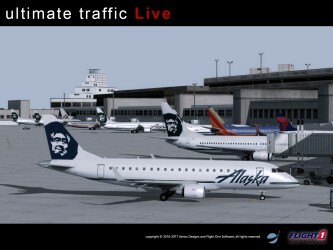 The package contains over 90 aircraft types to provide users with a wide variety of aircraft scenery that adds a unique feel that is only second to you being outside a real airport fence. 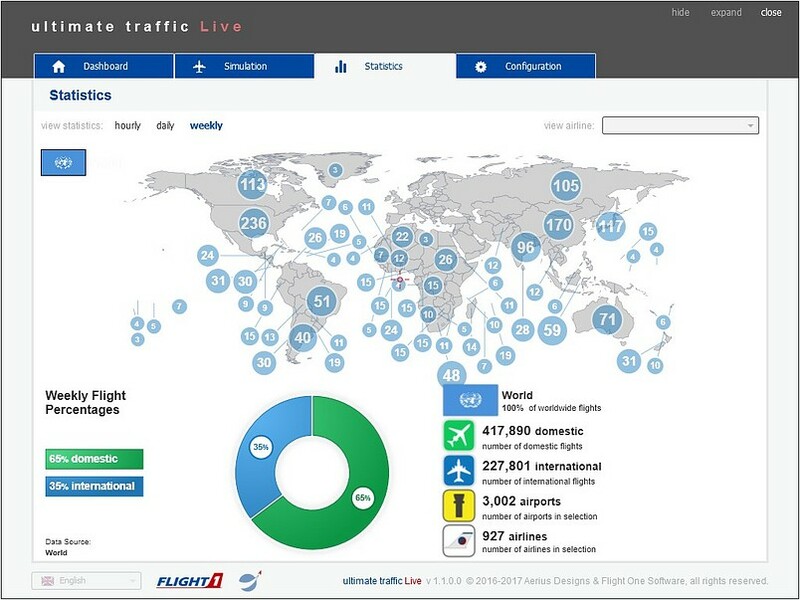 6000+ Airports with Traffic - Ultimate Traffic Live provides users with AI traffic for over 6,000 airports. 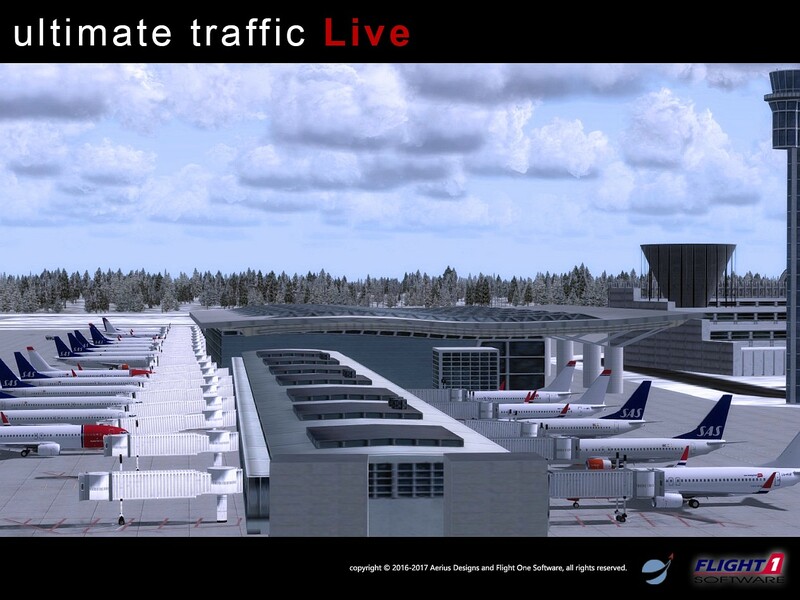 The end result is an active airport environment, whether you are shooting approaches on 28L at San Francisco International, or flying a virtual load of food supplies to the upper reaches of Alaska. 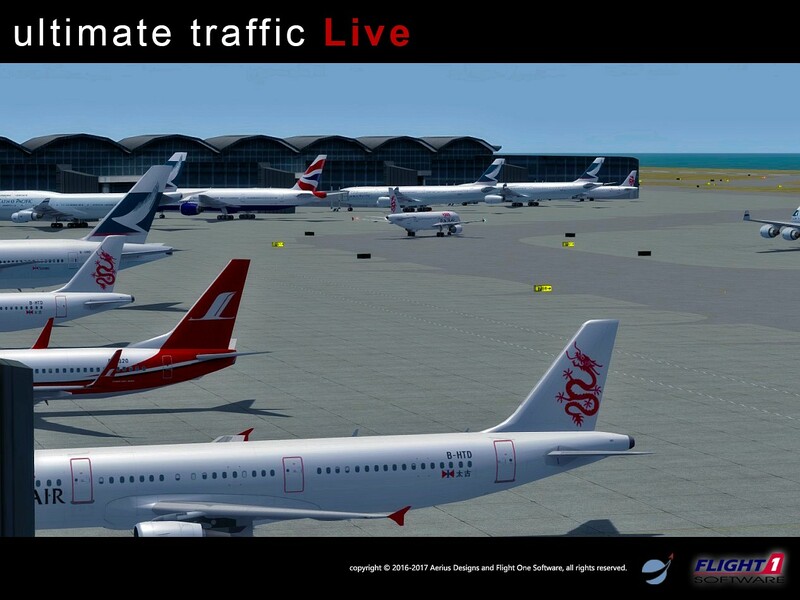 Newly Updated AI Traffic Engine - The core injection engine that is provided with Ultimate Traffic Live has gone through further refinements and updates to provide you the most realistic and efficient AI traffic handling as possible. 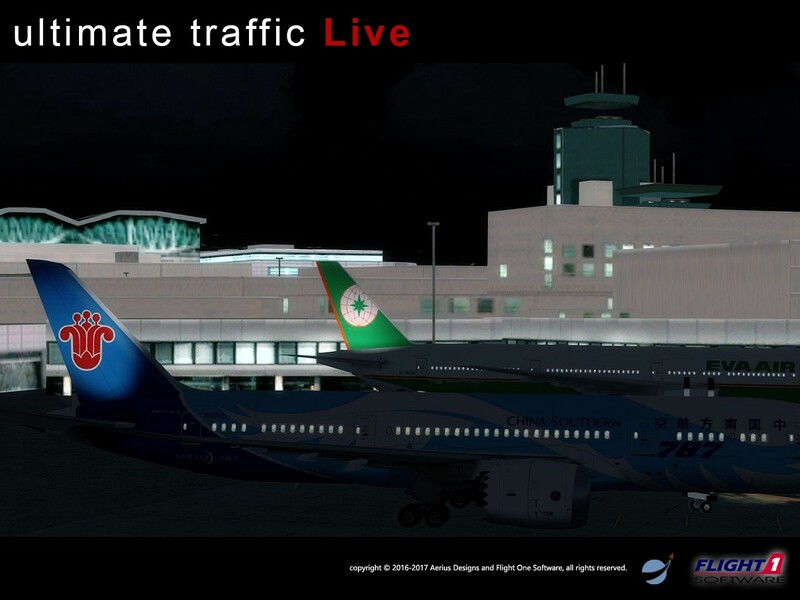 Live AI Traffic Environment - The "Live" aspect of this latest version makes AI traffic evolve based on conditions set in the simulator. Users can expect random maintenance, foul weather, and other delays based on real world operations. Flight Plan Assignments - Each airline flight in Ultimate Traffic Live uses a complete flight plan that are based on both Standard Instrument Departures (SID) and Standard Instrument Arrivals (STAR) navigation from the departure airport to its destination airport (there are some SID/STAR limitations when the sim AI takes over certain close-to-airport operations). Flight View Map - Create map views of anywhere on the planet and view all traffic currently flying at that location. Unique filters allow from all to very specific traffic to be displayed. Simulation rate can be changed as well. 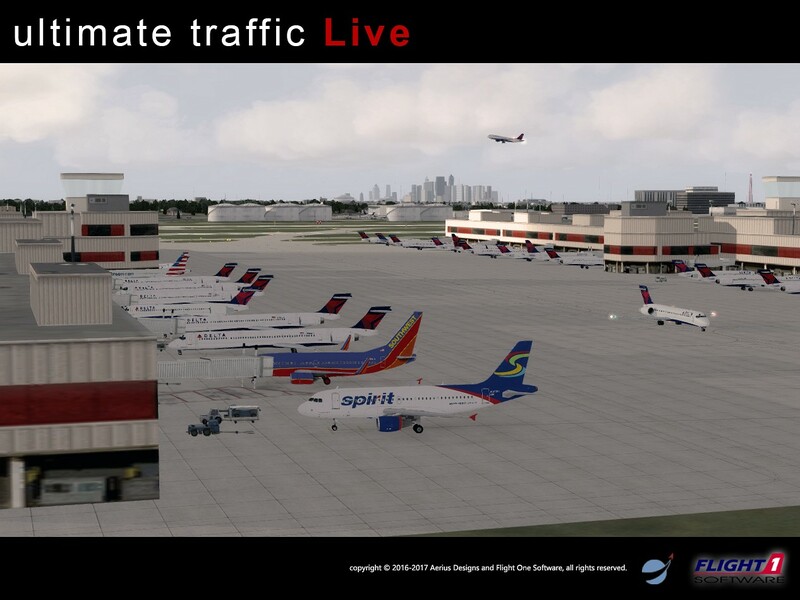 Status Board - View a live status board for any airport that handles commercial traffic in Ultimate Traffic Live. View departure and arrival boards for a unique look at traffic at the airport. Aircraft Tail Numbers / Parking Codes - Each airline can have its own rule for generating a tail number. 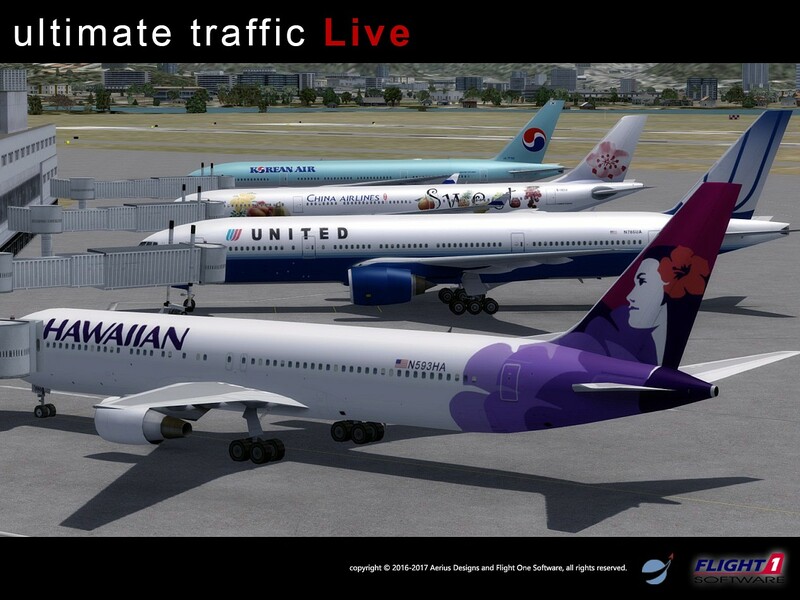 Ultimate Traffic Live uses these rules to generate random tail numbers for each flight in the database. Users can also manage and assign parking codes to any FSX aircraft. The Ultimate Traffic Live new interface contains a rivet busting, cornucopia of options that cannot be found anywhere else. The interface was made to handle the needs of both novice users and power users by providing a whole host of options and features. You can download one of the coupons below to receive a discount if you are an existing UT2 customer. This is more than a 33% discount off the full version price. If you originally purchased the Download version, click here for the download version coupon. If using the Purchase Agent, use the Auto-Coupon feature instead of downloading this coupon. If you originally purchased the DVD version, click here for the DVD version coupon. Select the Coupon button in the purchase interface to apply the discount. Other Important system requirements and notes prior to downloading! If you have the FSX Boxed Edition then FSX Service Pack 2 Required. Make sure you have Service Pack 2 for FSX installed if you have the boxed edtion. 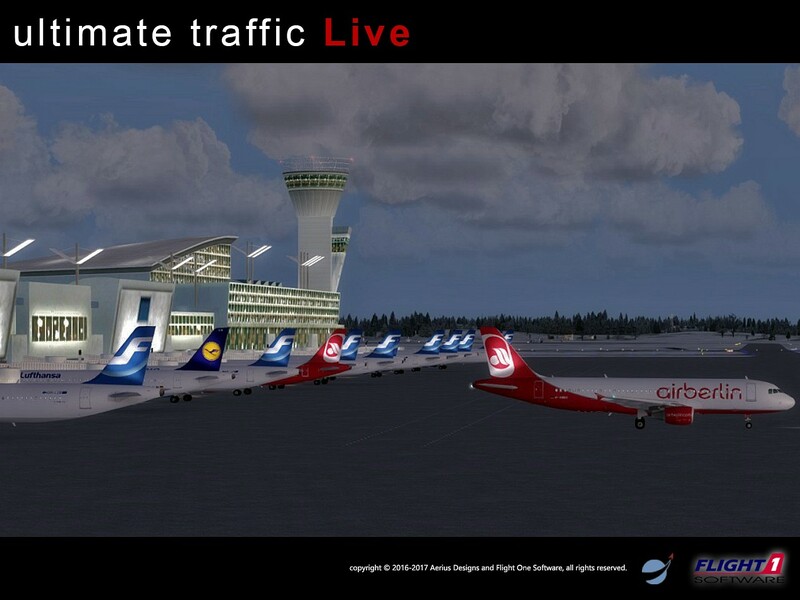 You can get SP2 for FSX here. This update is not required for Flight Simulator X Steam Edition Users. Microsoft .NET 3.5 Service Pack 1 is Required (most should have it already). Run Windows Update to get .NET 3.5 SP1 or you can click here to get the download direct from Microsoft. utLive_UserGuide.pdf - The main user guide. Note that additional help is available in the main interface. Please note that all product support is handled at our official Ultimate Traffic Forum. You may need to register your forum account here if this is a first time Ultimate Traffic purchase. 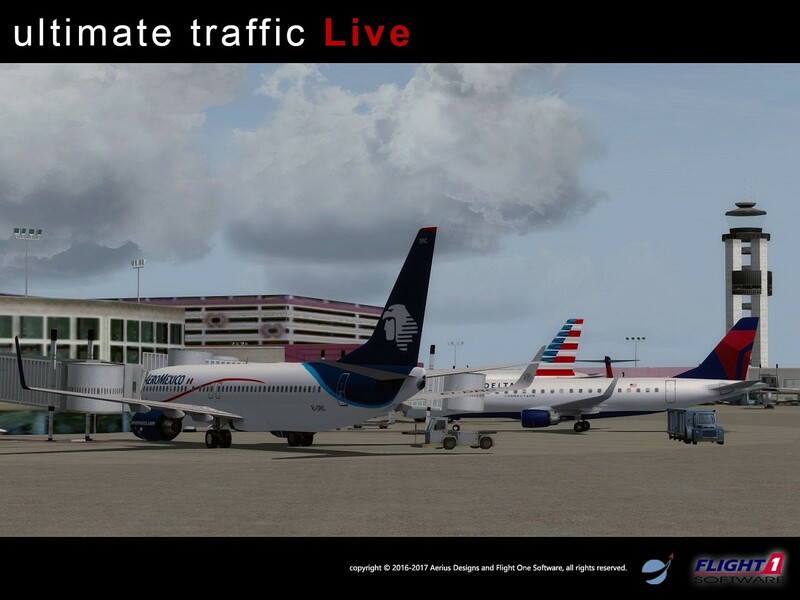 Ultimate Traffic Live contains our existing library of aircraft and liveries, as well as some new models and new repaints. We will be releasing additional livery packs for free. Our Power Pack tool will help install the liveries for you. More information on new liveries and Power Pack will be available soon.